If you’re dreaming of a foggy, rainy Christmas (Eve), you’re in luck. Forecasters from the National Weather Service are calling for raw weather on Wednesday, beginning with fog in the morning that could linger into the afternoon. 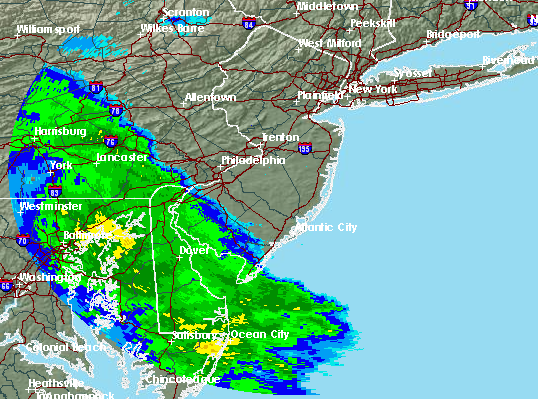 The weather service’s office in Mount Holly issued a hazardous weather statement early Wednesday morning, warning of periods of heavy rain that could move through the Jersey Shore area at times during the day and into Wednesday night. There could also be locally heavy wind gusts during scattered thunderstorms. The high Wednesday will be 59 degrees. Periods of rain and possible thunderstorms will continue Wednesday night. On Christmas Day, there will be a chance of showers before 10 a.m., then cloudy with gradual clearing as the day wears on. The high will be 55 degrees, however it will be breezy, with gusts reaching as high as 36 m.p.h. There is a 40 percent chance of rain on Christmas Day. The good news: tidal flooding will be nonexistent to minimal during Wednesday’s storm.